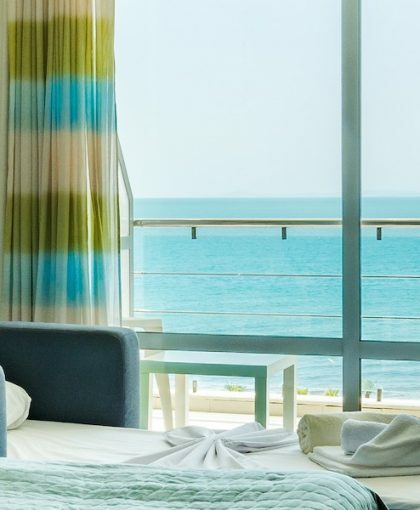 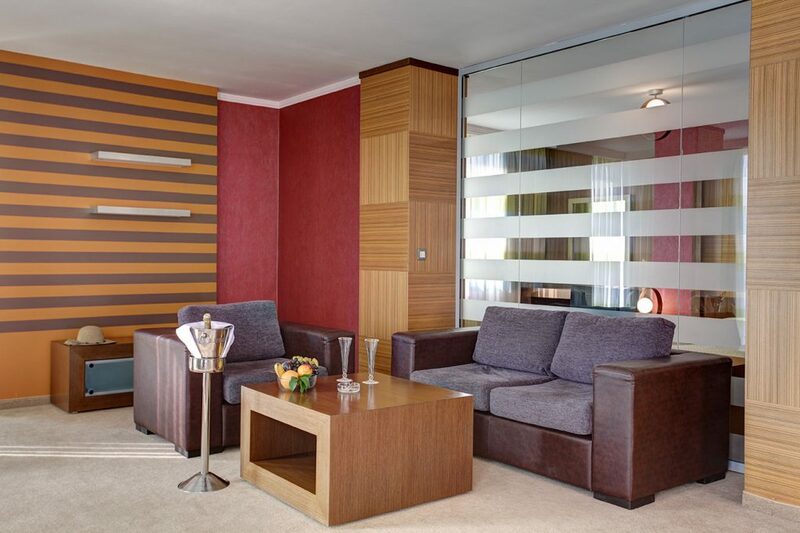 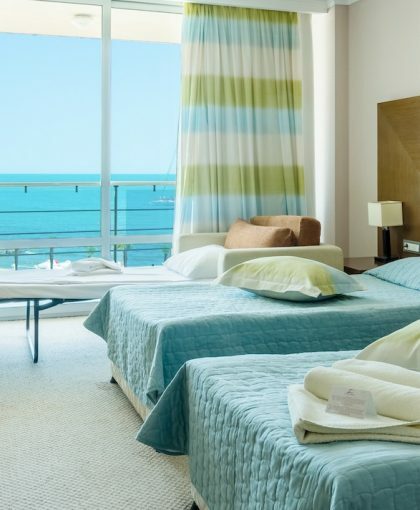 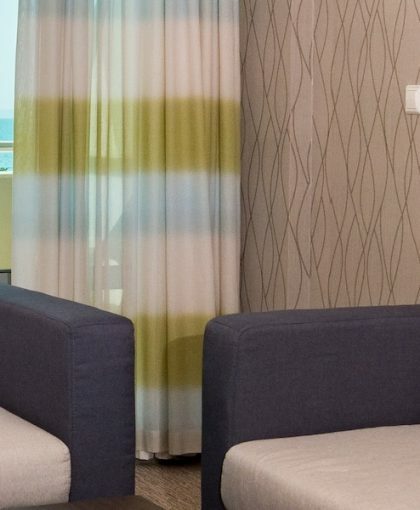 Located directly over the bay with impressive view towards the ancient Nesebar and Sunny Beach the Junior Suit Deluxe in Zornitza Sands SPA offers comfortable and welcoming atmosphere so that the guest could completely enjoy their stay. 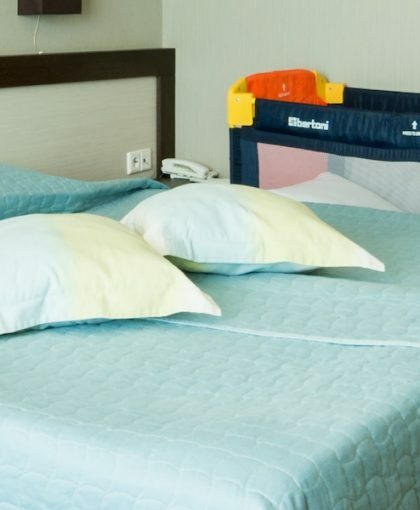 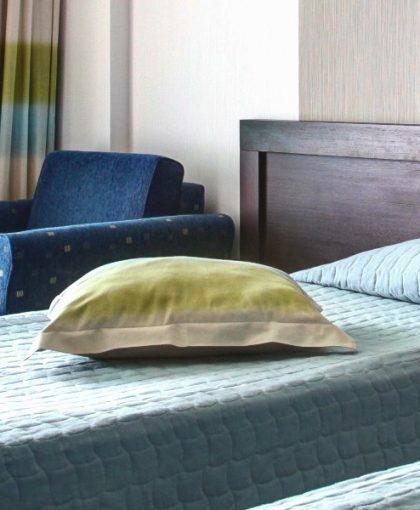 Junior Suit Deluxe is furnished with digital safe box, plasma or LCD TV sets, distant regulation of lightning, desk mini bar, telephone and air conditioning. 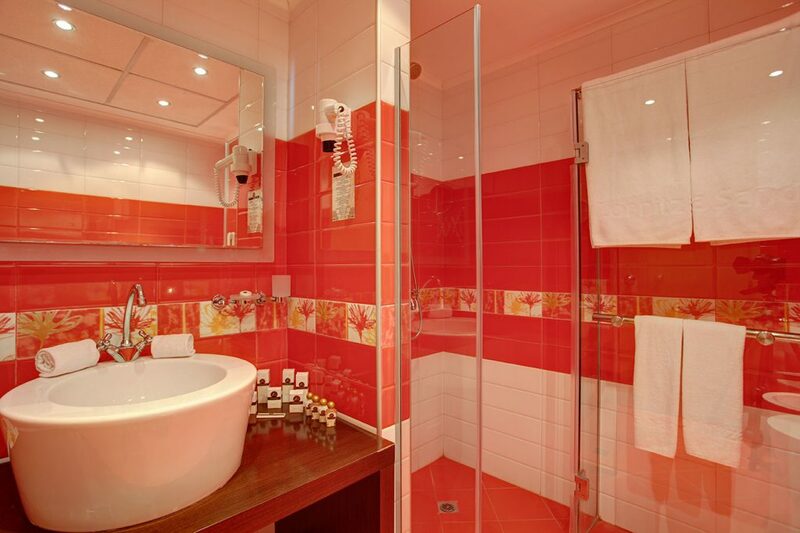 The bathroom is furnished with shower cabin, telephone, hair dryer, cosmetic mirror nd luxury set of toiletries. 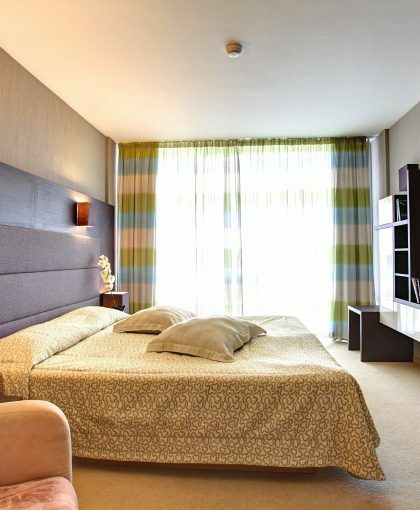 The luxury apartment has an area of 80 sq m and consists of designer decorated large bedroom with romantic bathtub in antique style and living area with sofa furnishing combined together. 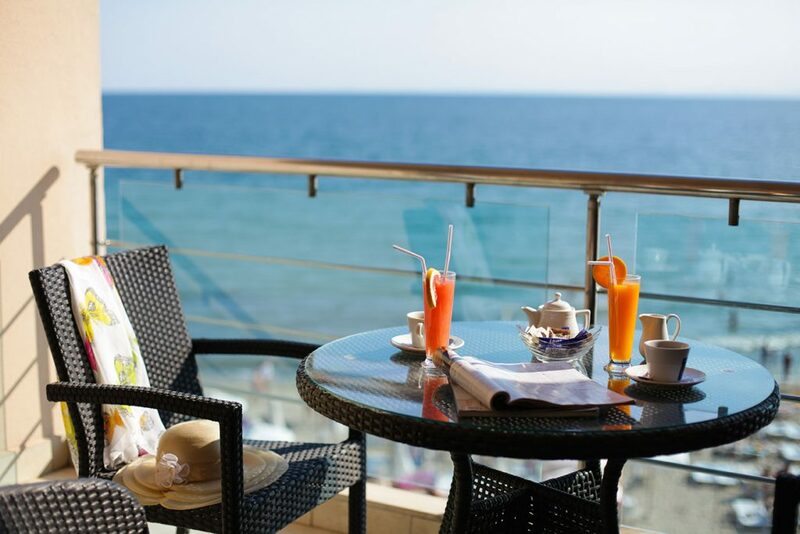 This is accompanied by a large terrace with comfortable furnishings and sea view.